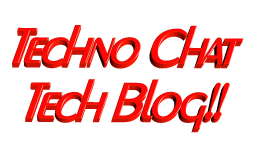 How to Secure ADSL Router | Techno Chat|Tech Blog!! HOW to HACK into Broadband ADSL Modem (Router) and get the BroadBand User ID and Password!! NOTE: Purpose of this article is to help people to protect their own ADSL Router, and how to made them more secure, to avoid such indecent in future. First connect to your broadband, and goto http://whatismyip.com to know your public IP Address. Posted in Windows. Tagged HACK ADSL Router, Hack BSNL BroadBand, Hack Bsnl Broadband Username And Password, Hack BSNL ID & Password, How to Configure ADSL Router, How to Hack an Ethernet ADSL Router, How to HACK BroadBand user id and password, How to Hack BSLN Account, how to hack bsnl broadband, How to hack BSNL Modem, How to Hack WiFi Password, How to Hack Your Broadband Connection, How to Secure ADSL Router, How to Secure BSNL Router.